Microsoft Teams is a platform that combines instant messaging, calls, file and app sharing, and virtual meetings in one online workspace. The service integrates with Microsoft's Office 365 subscription office productivity suite, including Microsoft Office and Skype, and features extensions that can integrate with specific featured, non-Microsoft products. 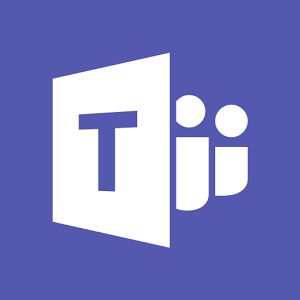 For more information about Microsoft Teams, please visit products.office.com. Microsoft Teams will be available to LSU Faculty & Staff and Students. Host Online Meetings: Host audio, video and web conferences with anyone using helpful tools such as scheduling assistance, note-taking, desktop sharing, file uploading, and instant messaging. Stream Live Broadcasts: Host live streams using Skype Meeting Broadcast, webinars, and other large audience presentations with up to 10,000 online attendees. Voice Calling: Office 365 provides a global scale voice calling service when paired with Phone System, Calling Plans, and/or Direct Routing. Connect Across Devices: A plethora of devices is supported to provide consistent, successful, high-quality communication and an enhanced experience for all participating user. Integrated Office 365 apps: Sharing and coauthoring files is made easy by integrating popular Office 365 apps such as Word, Excel, PowerPoint, etc. Integrated Third-Party apps: Productivity can be increased and workflow streamlined with the integration of certain third-party applications.